The chair of Geotechnics and Coastal Engineering of the University of Rostock together with the DredgDikes project consortium invites you to the 2013 DredgDikes open day on the Rostock test dike on Thursday 12 September 2013, from 10:00 – 16:00 hrs and on Tuesday 24 September 2013 from 10:00 – 13:00 hrs . 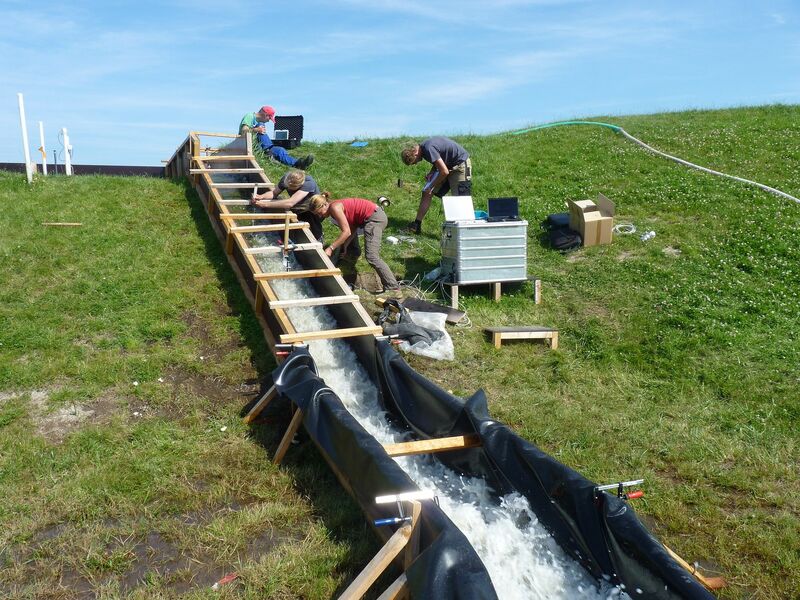 In September large scale overflowing experiments will be performed on the slopes that were constructed one year ago, which can be visited during this event. Also seepage experiments are performed on a regular basis. Possibility to visit the containment area „Radelsee“.